Officially launched in 2003, LinkedIn has more than 414 million registered members in more than 200 countries. With an average of two new members registering per second, it’s the largest professional social media network in the world. 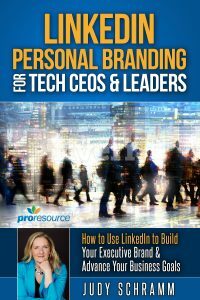 Most professionals know they need to have a LinkedIn profile. However, most just fill in some of the fields in their profiles thinking it’s enough. They don’t think about tactically building out their profile. This impromptu approach results in their profile reading more like job seeker profile rather than as a lead generator or thought leader. Some executives who are happy in their careers and have no need to promote themselves mistakenly limit their LinkedIn efforts. Their profiles contain the barebones. Typically, it’s a little something about their current jobs and maybe a line or two of the most recent previous jobs. CEOs absolutely need a strong LinkedIn profile. And here’s why. LinkedIn does much more than help job seekers find their next position. Build relationships with prospects and generate leads. Show you’re a thought leader by sharing your expertise. Find and hire the right talent. 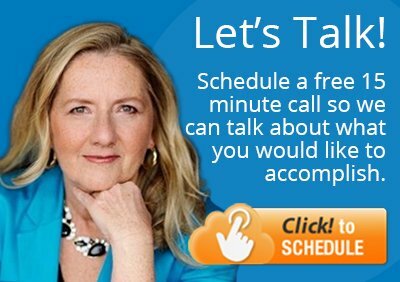 Promote company’s webinars, events, and content. Keep your company top of mind. What executive wouldn’t want more PR for the company? Public Relationships Global Network has found there’s an 80 percent chance a journalist will look up a leader’s social media profiles before asking for an interview. What’s more is that CEO.com’s 2014 Social CEO Report says that 68 percent CEOs have no presence in social media. But when they do join social media, 74 percent sign up with LinkedIn first. The professional social network provides visibility for a company, allows you put a face on the company, and connects you with employees and the media. LinkedIn can forge partnerships that lead to more business. When people use LinkedIn the right way, they can identify opportunities and increase sales. You want people to find your profile, right? Without putting thought into your LinkedIn profile keywords, your competitors will be found first. A profile has many components that could be tweaked to achieve the results you want. To cover all of them here could overwhelm you to the point of inaction. These five steps comprise the core components that will give you the biggest bang for your time in maximizing your profile. It only takes a second to look at person’s photo on LinkedIn. And in that tiny bit of time, someone will either click through or click away. No photo or the wrong photo increases the chances of people skipping your profile. That said, it’s critical to choose the right LinkedIn profile photo. While you’re working to update your profile photo, change the default header using any of these 9 ideas for a LinkedIn profile header. The Experience section looks exactly like a resume. It lists the facts about your positions and accomplishments. Not really a fun read. The Summary, on the other hand, lends itself to a narrative. It’s also a great spot for keywords. Here are 8 tips to write a compelling LinkedIn profile summary and how to tell your professional story in the first person. Start by filling the basics in the Experience section like the company names, job titles, and dates worked. For each entry, give a brief description of what the company accomplished for its clients. Remember to include those keywords! Testimonials are powerful because people are more inclined to listen to customers than the company. You can do this by getting recommendations for your most current job and the second most recent job. The more, the better. Start asking for recommendations for the current job to build credibility ASAP. The most valuable recommendations come from partners and customers. It’s perfectly fine to ask for a recommendation. Most will do it. Or you can write a recommendation for someone else and that person might do the same for you. Most people add connections on an ad hoc basis. You can do much more than that when you build your LinkedIn network strategically. It can mean the difference in getting more and bigger deals. Thinking through all the connection possibilities will take your network places you may not have considered. You want to connect with at least 500 professionals. Once you reach that magic number, LinkedIn stops counting. 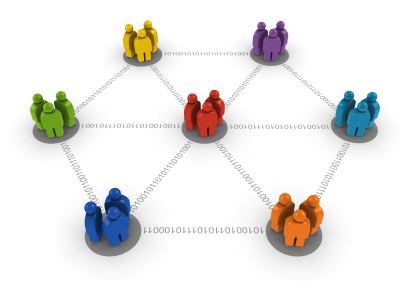 Besides, the more people you connect with, the greater chance prospects will find a common connection with you. Connect with key customers, partners, fellow executives, employees, and industry influencers, including bloggers, writers, and editors. Email introductions on can feel awkward for many people. Here are six ways to introduce yourself. Once you have your LinkedIn profile just right, you don’t want to just leave it and hope people come to you. If you throw a ball, it’ll bounce and then roll until it loses momentum and stops. That’s what happens if you strengthen your LinkedIn profile and do nothing else. Well, except to check messages to see if you have a lead. You can keep the ball rolling on LinkedIn by following this 10-step LinkedIn Daily Action Plan. Don’t let the daily scare you. You can adapt the checklist and spend a couple of hours on LinkedIn per week. One of the items not on the list is publishing blog posts on LinkedIn. Here are a handful of reasons why it’s worth blogging on LinkedIn. LinkedIn profile examples for Marketing VPs and CMOs. LinkedIn profiles for MSP CEOs. LinkedIn profiles for Sales VPs.